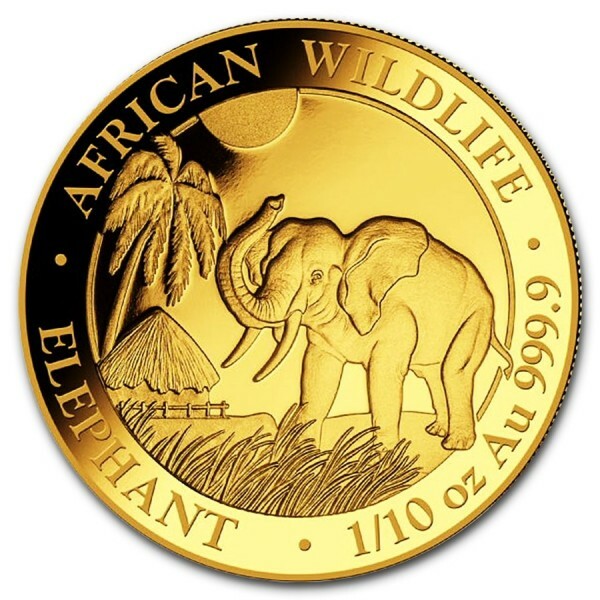 The African Elephant gold coin contains 1/10 oz of .9999 fine Gold. The coin is part of African wildlife series and on the coin you can see the elephant walking through the Serengeti. 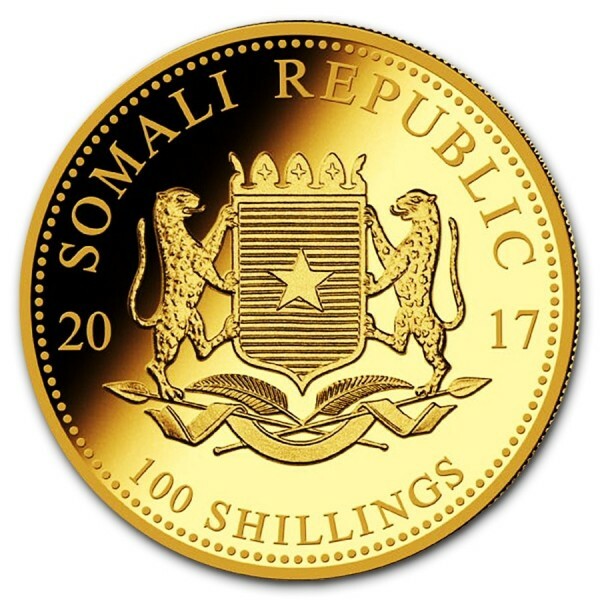 Elephant is the largest land animal on the earth and since the coin series design changes yearly, it is a good investment.